Trying to decide whether Elementor is the best page builder for your WordPress site? In our Elementor review, we hope to give you the information you need to make your decision. 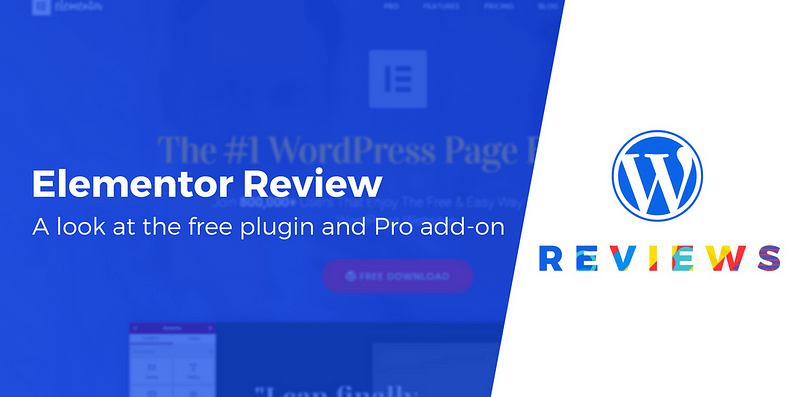 Our review includes the latest features in Elementor 2.0 and Elementor Pro 2.0, so you can be certain you’re getting a full look at everything this plugin can do. Launched only two years ago in 2016, Elementor has quickly shot up the charts and is now active on over 800,000 websites while maintaining an impressive 4.8-star rating on over 707 votes at WordPress.org. Keep reading our Elementor review for help deciding whether you should join those 800,000 other users. What’s the benefit of using Elementor? 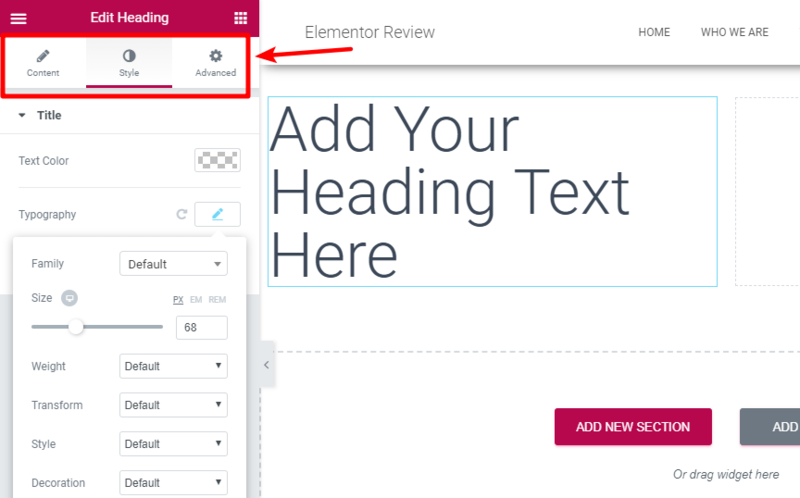 Elementor helps you add advanced styling, layout, and design elements to your WordPress content without requiring you to know code. 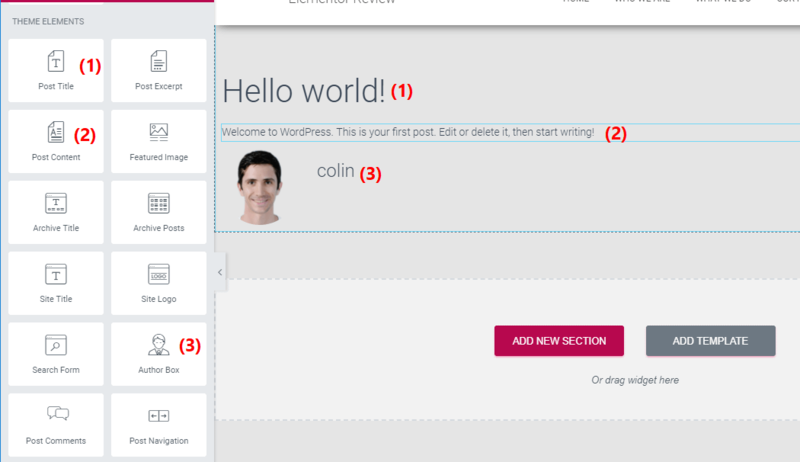 In the new Elementor Pro version, you can even design your entire WordPress theme also without needing to know any code. Visual means that when you design your content, you see exactly what your visitors will see. There’s never any confusion about how your page will look once you publish it. Drag and drop means that you can move around various design elements – like buttons, forms, or images – just by dragging and dropping them. No code required! 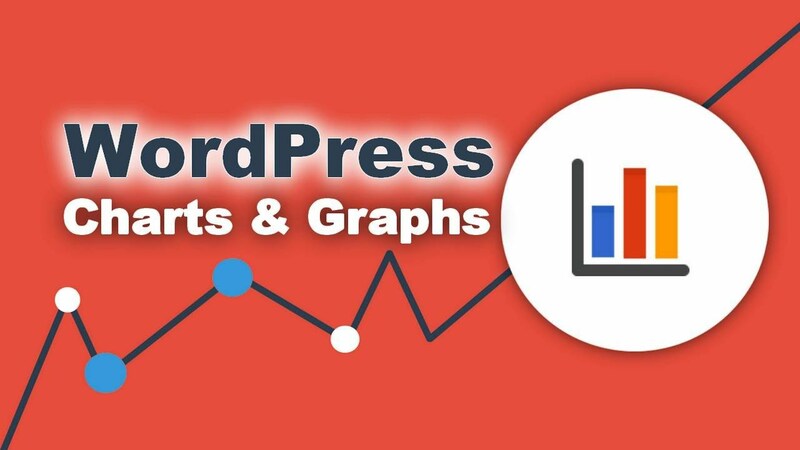 The end result is a tool that helps you make your WordPress site look the way you want it to without the need to learn code (or hire a developer). I’m going to begin this Elementor review by giving you a basic look at how the Elementor interface works. 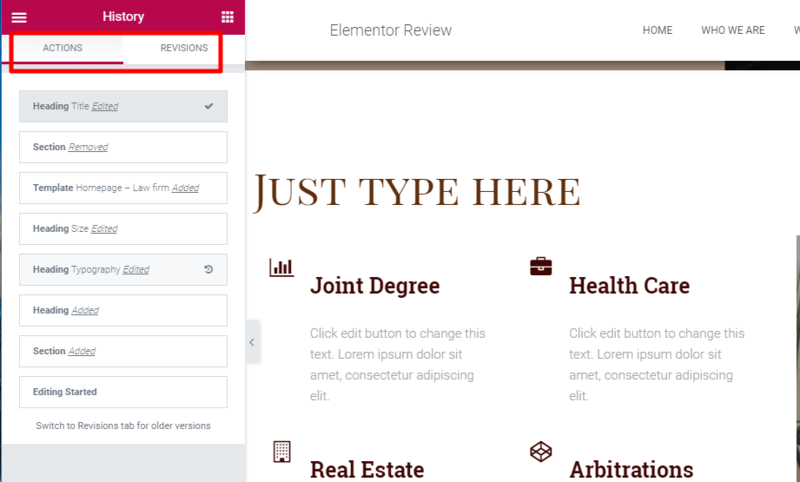 If you’ve already played around with Elementor a little, you might want to skip straight to the next section of our Elementor review for a look at some more specific features. (1) – the content area. You’ll see your regular theme outside this area, and you’ll build your own design roughly in the area marked with the grey dotted line. (2) – elements/widgets. These are the building blocks that you’ll put together to design your page. (3) – settings. These help you undo changes, preview your design on different devices, and more. While you can start using elements right away, you’ll probably want to build the basic structure for your page before you do that. Sections – the broadest layout block. Columns – sit inside a section. You can either have one column or add multiple columns. While a heading element is a pretty basic example, you have a bunch of other options that let you do cool things like create a logo carousel. Is Elementor hard to learn? 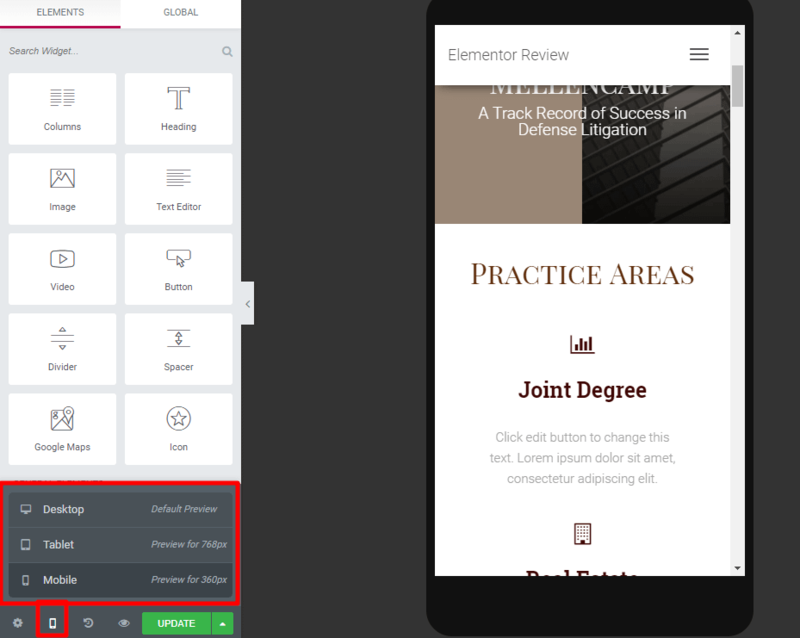 When compared to other page builders, the Elementor interface is one of the easier ones to grasp. But no matter which page builder plugin you choose, there’s always going to be a learning curve before you can start creating truly gorgeous pages. We wrote a post about how to create a landing page with Elementor that can help you learn. And Elementor also has a YouTube channel with tutorials. 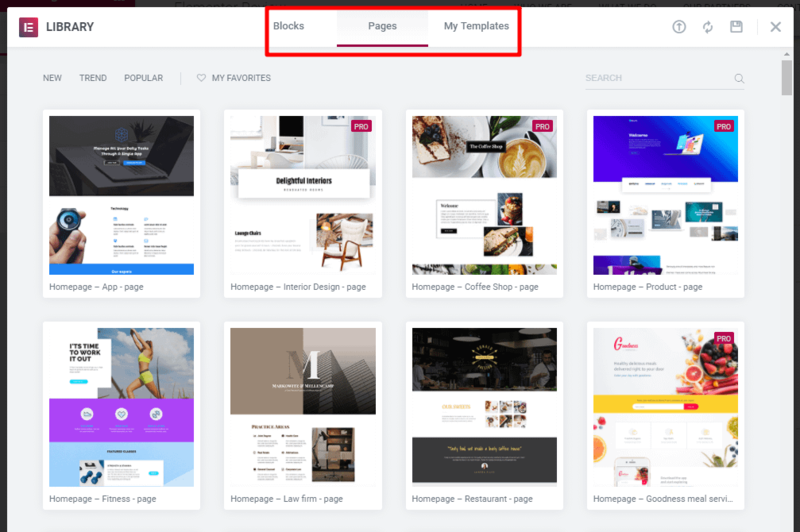 Import a pre-built Elementor template (more on these in just one second) and then deconstruct it to see how the designer built the page. This way, you can see the more advanced options that help you build something that really looks great. 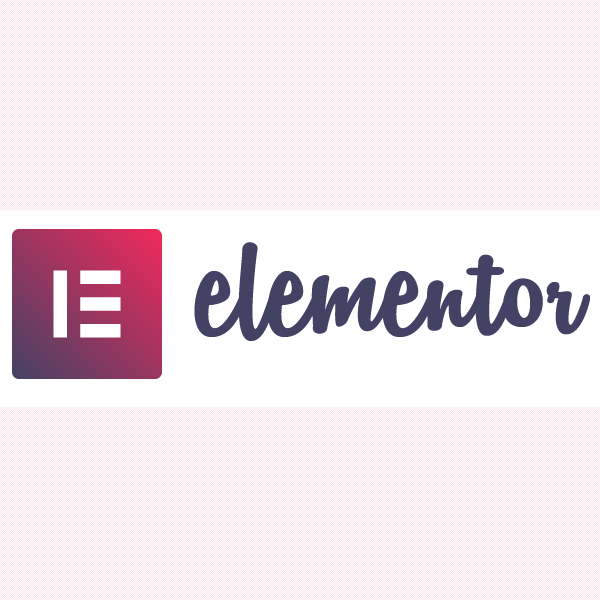 Now that you have an understanding of the basic interface, let’s take this Elementor review a bit more hands-on and dig into some of the specific features that have helped make Elementor so successful. While Elementor does give you the power to create complete designs from scratch…you don’t always need to do everything yourself thanks to the Elementor template library. Pages – these are full-page designs that you can import and then tweak as needed. 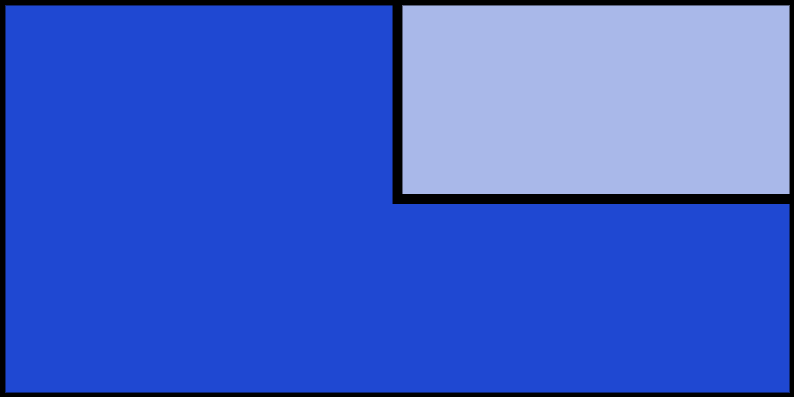 Blocks – these are designs for specific “sections”, rather than entire pages. For example, if you just want to drop in a pre-built contact section to an existing layout, blocks can help you do that. Once you have some of your own designs, you can also save them as templates or blocks to easily reuse them later on. With a massive portion of the web’s traffic happening on mobile devices nowadays, you need the mobile version of your site to look great. All of the designs that you create with Elementor are automatically responsive (that is, they look good on mobile). Elementor also takes things further by letting you show/hide individual widgets on certain devices. Because page builders eliminate the need for custom code, sometimes you have to sacrifice a little flexibility over where you position elements in order to achieve that simplicity. As Albert so kindly tells us, you’re probably going to make a mistake (ok, mistakes) when you try out new design approaches. If you do mess something up, Elementor makes it easy to undo your mistakes in two different ways. Second, every time you save your design, you’ll also get a completely new revision that you can revert to if needed. *These individual actions are cleared when you exit the interface. So it’s every single action that you take during a specific design session. Saved revisions are always accessible, though. If you ever need to deactivate Elementor at some point in the future, you can rest easy knowing that it’s not going to leave behind a mess of shortcodes like WPBakery Page Builder or the Divi Builder. Instead, Elementor leaves behind clean code (though you will, of course, lose all the styling). 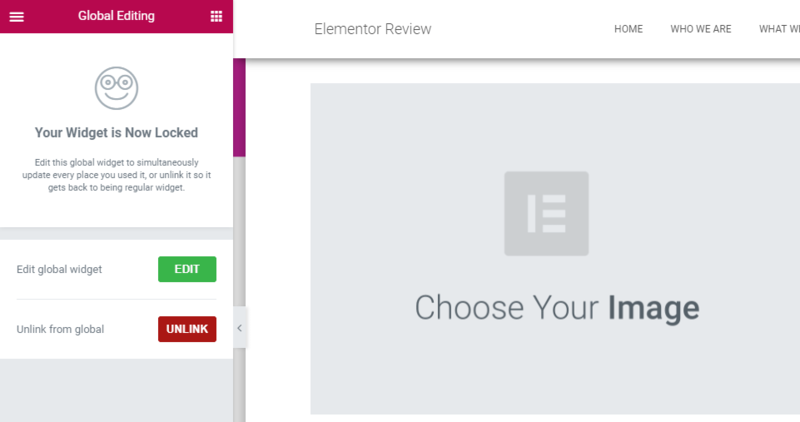 It wouldn’t be an Elementor review without covering the newest version of Elementor Pro. Up until recently, Elementor was always just for your content. You still needed a quality theme sitting underneath it. 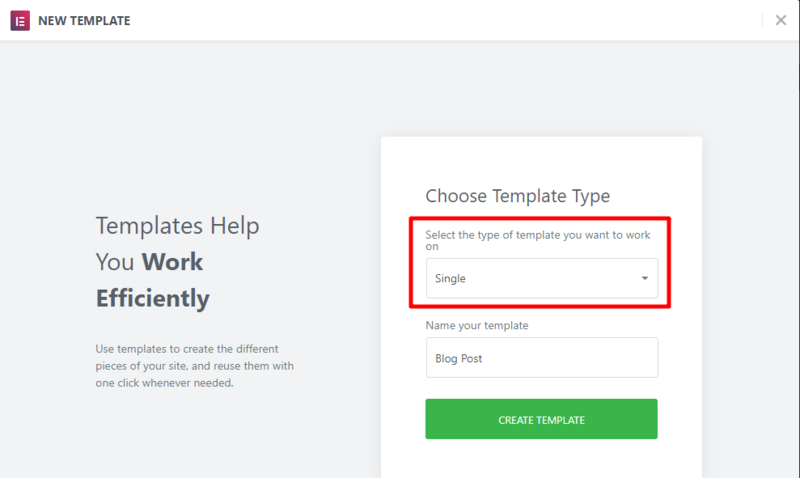 With the release of Elementor Pro 2.0, though, you can now build your entire theme with the same drag and drop Elementor interface, including your header, footer, and blog post templates. Then, you can use the same Elementor interface (with the addition of widgets for that type of content) to build your layout. When you purchase Elementor Pro, you unlock all the templates and blocks in the library. Beyond just getting “more”, the Pro templates are also usually a bit more detailed and complex. So it’s more a situation of “more + higher quality”. 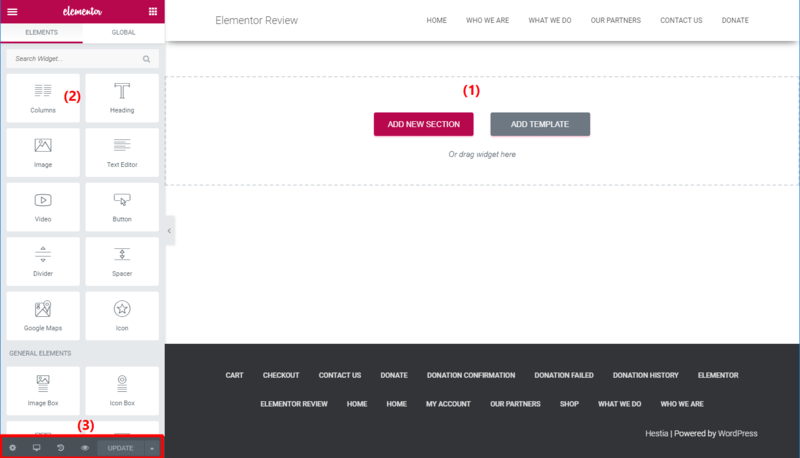 At the time of writing this Elementor review, that’s well over 100 templates. Sometimes you might have a situation where you want to reuse the same element on multiple pages. For example, you might have a contact section that needs to include the same content on every page. Do you need Elementor Pro? If you just want to create basic styled pages, the free version of Elementor should have enough power. 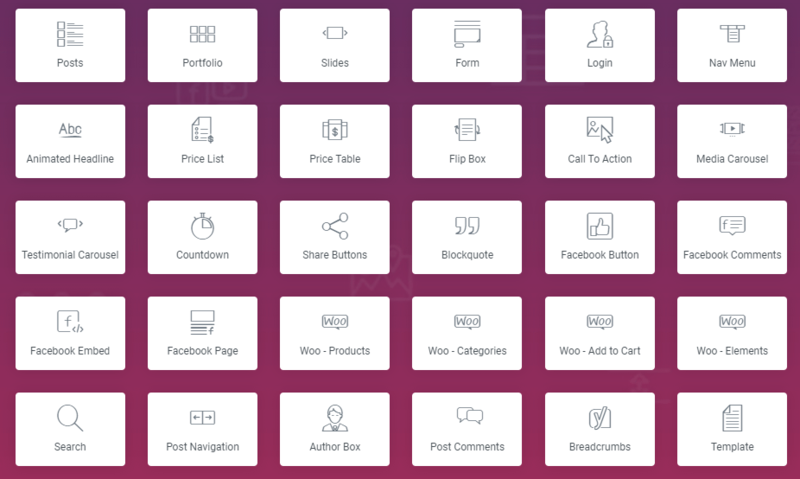 In fact, Elementor probably offers the most feature-rich free version of any page builder. With that being said, if you want to use Elementor to actually build out your core website pages (or build your entire website now, thanks to the theme builder), then Elementor Pro is a great option because of the new elements, extra controls, and other functionality. 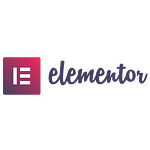 Because the Elementor team made it easy for developers to extend Elementor’s functionality, you can also find tons of other helpful Elementor extensions that go beyond the official Elementor Pro add-on. You can read about some of our favorite free Elementor add-ons. And we also have a collection of third-party Elementor themes and templates that you can use. 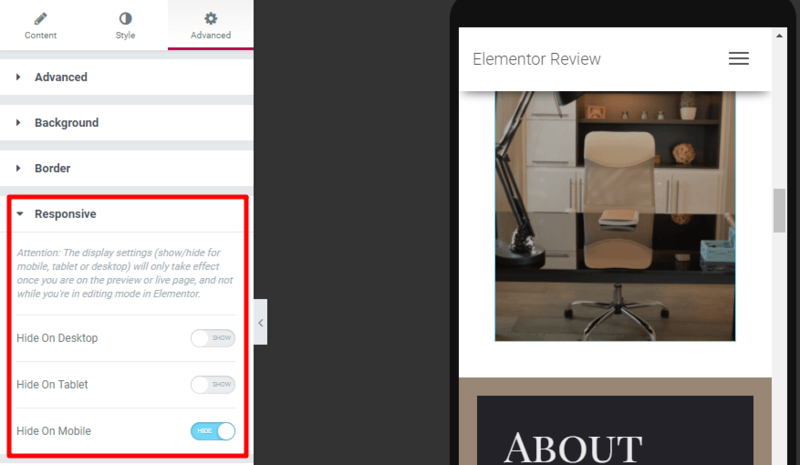 Because the free version of Elementor is so generous, you should just install it on a WordPress test site and try it for yourself. If you like how the interface works, you can then consider upgrading to Elementor Pro for theme building, more elements/templates, and other helpful features. And if you want to see how Elementor stacks up vs other popular page builders, check out our post on Elementor vs Divi Builder vs Beaver Builder. Did we miss anything in our Elementor review? Have a question about something we didn’t cover? Leave a comment and let us know! Template library with loads of ready-made page designs. Tons of different content modules to choose from. Mobile previews and responsive design controls. Inline text editing - super easy to change texts.